SELETAR PARK RESIDENCE is located at 17 - 21 SELETAR ROAD in district 28 (Seletar, Yio Chu Kang) of Singapore. 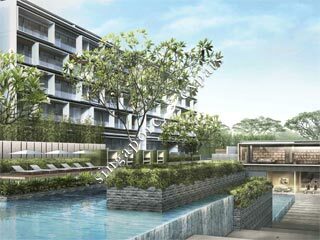 SELETAR PARK RESIDENCE is a 99-year Leasehold Condo development consisting of 276 units. SELETAR PARK RESIDENCE is completed / TOP in 2015 (estimated), developed by ASPLENIUM LAND PTE LTD.
Educational institutions like LYCEE FRANCAIS DE SINGAPOUR, HILLSIDE WORLD ACADEMY, DPS INTERNATIONAL SCHOOL, FERNVALE PRIMARY SCHOOL, ROSYTH SCHOOL and HOUGANG PRIMARY SCHOOL are near to SELETAR PARK RESIDENCE. SELETAR PARK RESIDENCE is accessible via nearby YIO CHU KANG, BUANGKOK and ANG MO KIO MRT Stations. SELETAR PARK RESIDENCES IS WELL PLANNED OUT WITH THE NEARBY MALL CATERING FOR GOOD EATERIES AND EASY PURCHASE OF NECESSARY GOODS. Local amenities are within a bus ride and a walking distance away. Many educational establishments nearby as well, such as tuition centres and preschools for younger children. Stylish and Modern Apartment away from the City Buzz. Excellent architect with beautiful landscaping along with modern facilities. Your home and sanctuary where you work, rest and play! Award winning SCDA Architects- A luxurious development designed with the ideals of space and harmony. Highest quality appliances and fixtures in every unit. Close proximity to Seletar Aerospace Park- making your home an ideal investment property. Don't miss the STAR BUY! !